Explore Alcohol Ink and its application in painting to create a one of a kind Winter Inspired floral print on Yupo paper. 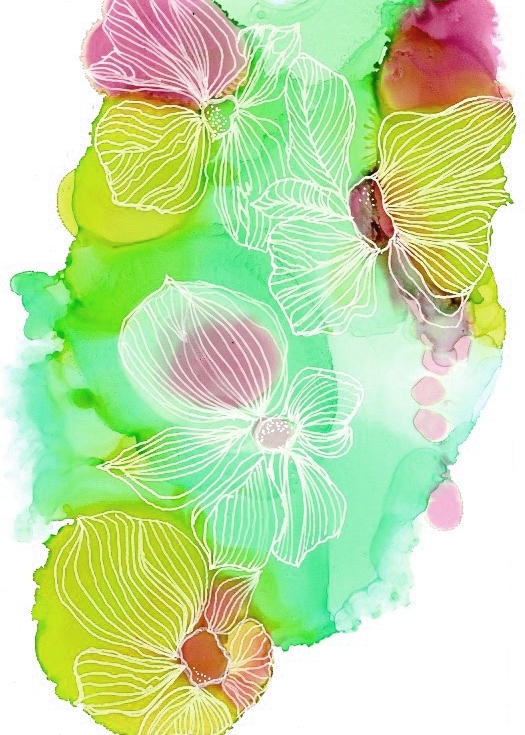 We'll utilize inks to mimic the effect of watercolor in bold and vivid colors. You'll go home with a print that includes a professional matte package to fit in 11”x14” frame.